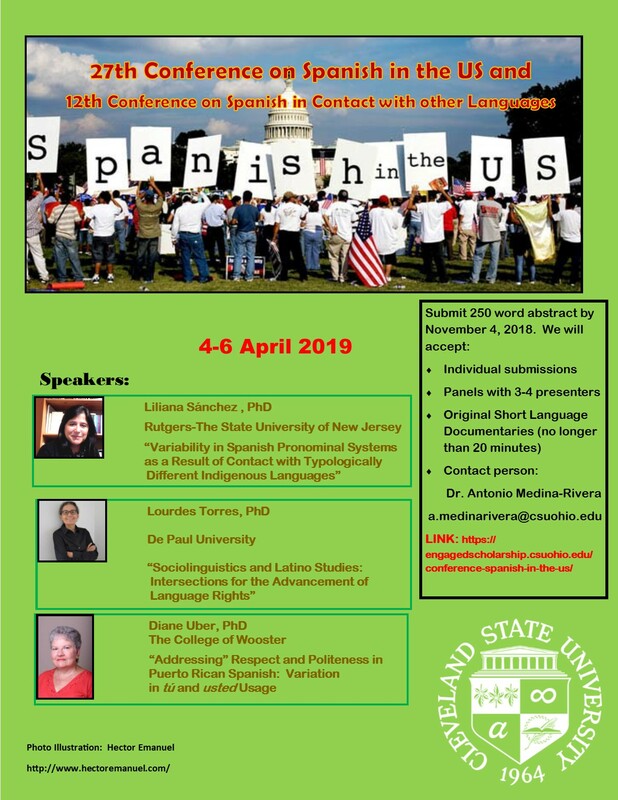 The 27th Conference on Spanish in the US & 12 Conference on Spanish in Contact with Other Languages will be held in the Wolstein Center (WO) at Cleveland State University. The Center is located on East 21st Street between Prospect and Carnegie Avenues (see Campus Map in the sidebar). Parking will be available in the South Garage (SG), located at 2101 East 21st Street., across from the Center. The parking fee is $2 for first hour - $1 per hour after. Max $10 per day. Enter from Carnegie Ave. or East 21st Street.